As you read this, you're probably wondering "What in Kahless' name is that!" The IKF ja'chuq is our annual International Conference! 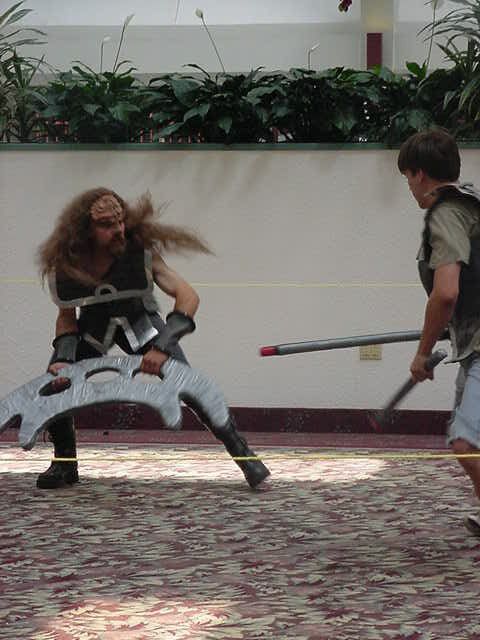 And what better spot than this years Ultimate Klingon Gathering... CONvergence! 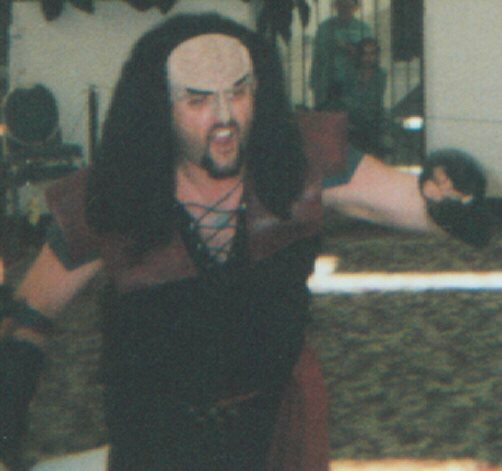 Both Chancellor Gowron AND Martok will be in attendance, as well as our very own KPLA Klingon Radio and several other warriors from all over Klindom! Not to mention the multitude of Klingon programming AND the ANNUAL Fighting For A Cure" betleH Tournament! DEFINATELY THE CON TO HIT THIS YEAR! A Gatherings and Rally of IKF warriors and Honored Guests! Yep, the boy's from KPLA are back, and oh do they have a few new surprises for you! Come join them at the gates of the KPLA Party Room (106) for a hell of a good time! There will be some serious tunes, contests, interviews, and more surprises! 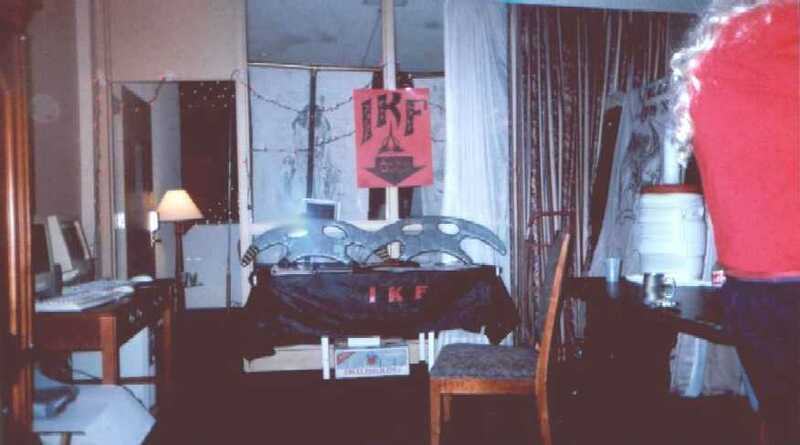 After spending long months defending and expanding the Klingon Empire the warriors of IKF have returned home. They invite you to join them during their stay on Qo’noS, to sample the fare, see Klingon hospitality at it's finest, and to experience the glory that is the Klingon empire. Join us for fun, food, and the shear stupidity of Kethas and Krom in the Morning from 10pm to Midnight, (yes they got their license back) From 7- 10pm ONLY the language of the Klingon empire will be spoken, if Kethas and Krom can't get it, why should you? Sorry Hoshi, it's time to learn the lingo. 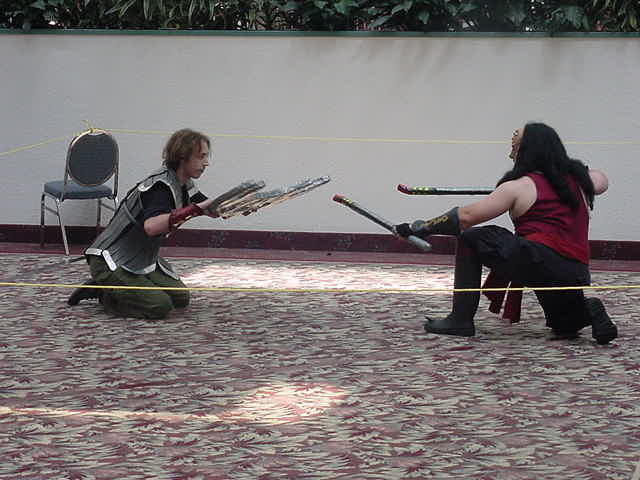 This year the Imperial Klingon Forces will be hosting its fourth annual betleH tournament Fighting for a Cure. In the past three years we’ve raised hundreds of dollars for the American Diabetes Association and are looking to double that with this year’s tournament. The tournament is open to anyone who is a member of a Klingon fan organization and passes our certification. Festivities kick off Friday night with a fighting demonstration and authorizations for those who need them. The cost of the tournament is $10 in advance and $15 at the tournament with ALL proceeds going to benefit the American Diabetes Association. For more information Contact Lord Admiral Krom zantai-Ketal at envy1874@aol.com. Because when Klingons are fighting for a cure, diabetes doesn’t stand a chance! - There will be an awards ceremony with the two chancellors, if you have a promotion or an award to be given out, send me email and we'll get it done by Martok and Gowron. 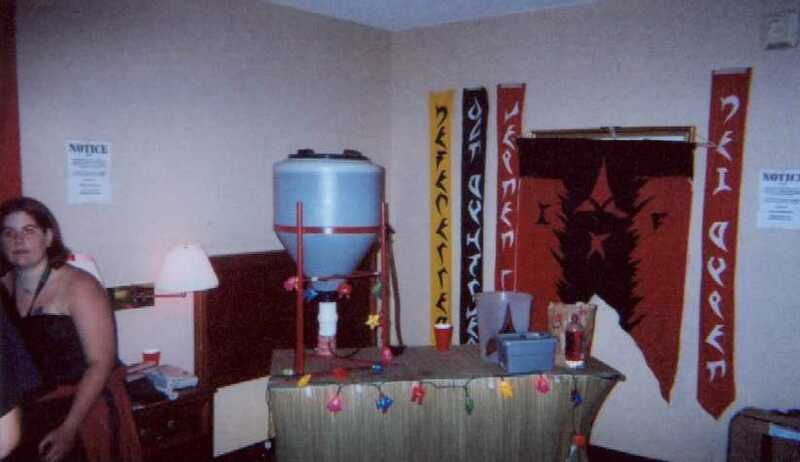 - Also, there will be a Klingon wedding Saturday night as well as many other unscheduled events. Following is a tentative list of the Klingon programming at CONvergence. There will be additional programming to follow. Listen to our guests of honor share their stories on the set of various Star Treks. Duct tape, fashion choice or a cry for help? An hour with J.G. Hertzler discussing his career as an actor, life, and interests. An hour with Robert O'Reilly discussing his career as an actor, life, and interests. A discussion of life as an actor beyond Star Trek. J.G. Hertzler - Actor appearing as seven characters in Star Trek: Deep Space Nine, Voyager, and Enterprise. Robert O'Reilly - Actor in Star Trek: The Next Generation and Deep Space Nine. Starred in original productions of The Martian Chronicals and Farenheit 451. Bridget Landry - Engineer on the teams of the Hubble Space Telescope, the Mars Pathfinder project, the Cassini Mission to Saturn, and other space missions. Eric Flint - Author. Works include Mother of Demons, the Assanti Shards series, the Belisarius series, and many others. David Weber - Author of the popular Honor Harrington novels, as well as Oath of Swords, The War God's Own, and many more. Greg Weisman - Writer for animated films and television series, including Gargyoles, Hercules, Men in Black, The Batman, and several others. Miles Teves - Hollywood conceptual artist for Robocop, Total Recall, Batman, Blade, Galaxy Quest, Men in Black, and countless others. Kenneth Hite - Role-playing game designer for GURPS, the Star Trek role playing game, and beyond. Kids under 5 may attend for free. Complete the Room Request Form and print the completed form. You can also download the pdf version of this form and complete the form by hand, making sure to print neatly. If you have any questions on rooms, please email hotel@convergence-con.org.